A nice way to end a meal is with a sweet wine and what better way to end Italian week here at Winesleuth then with a bit of Moscato. 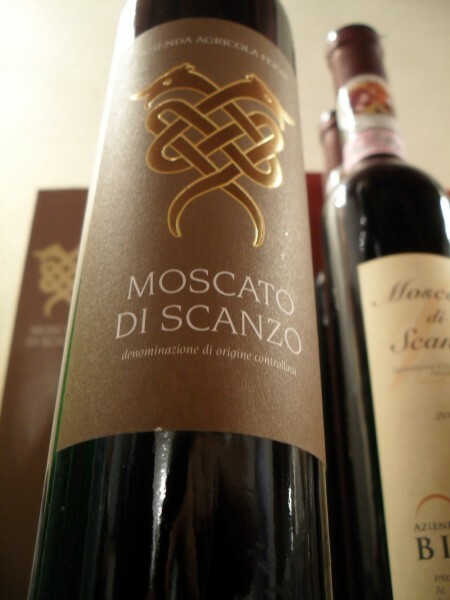 Not any moscato mind, but Moscato di Scanzo, a red sweet wine that comes from the hills of Bergamo. The Moscato di Scanzo was recently given it’s own DOCG (in 2002) and is the first DOCG of Bergamo and only the fifth in all of Lombardy. 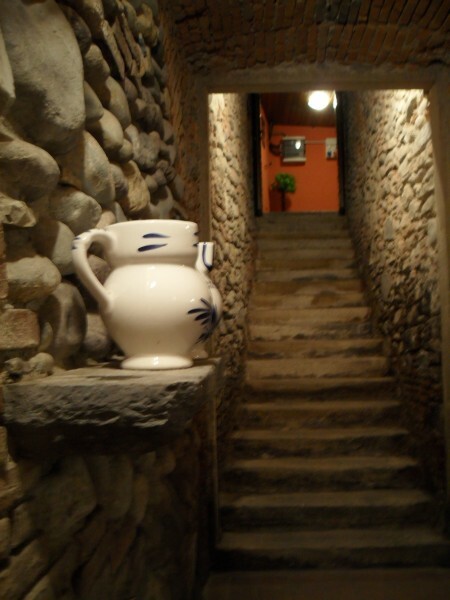 An ancient wine, Moscato di Scanzo was first noted in the 14th century and it can be traced back to 1000 B.C. 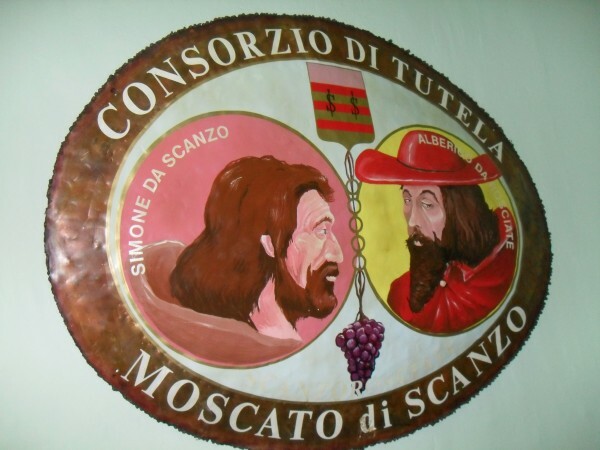 The centre of moscato di scanzo is the town of Scanzorosicate, try saying that after a couple of glasses of moscato. 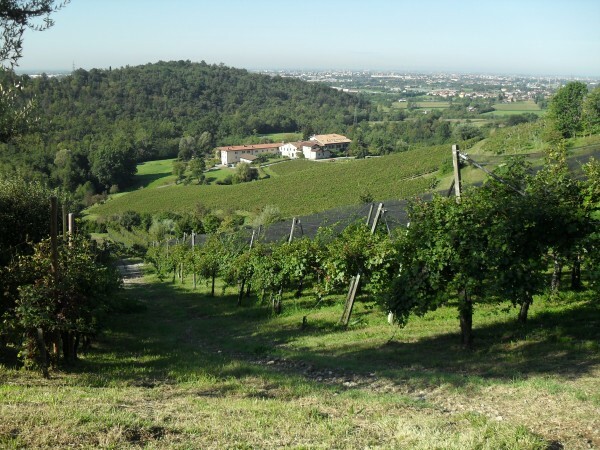 There are only 22 winemakers and 32 hectares of moscato split between them all. Small production it is. In order to produce the wine, the grapes go through a passito process where they are air dried until they lose 70% of their volume, leaving only 30% of juice at the end. 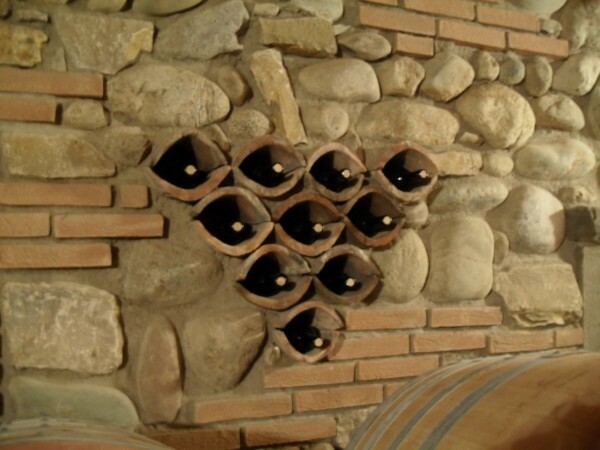 Indeed, for every hectolitre of wine, 400 hours of work goes into it and each hectare produces about 40 hectalitres. 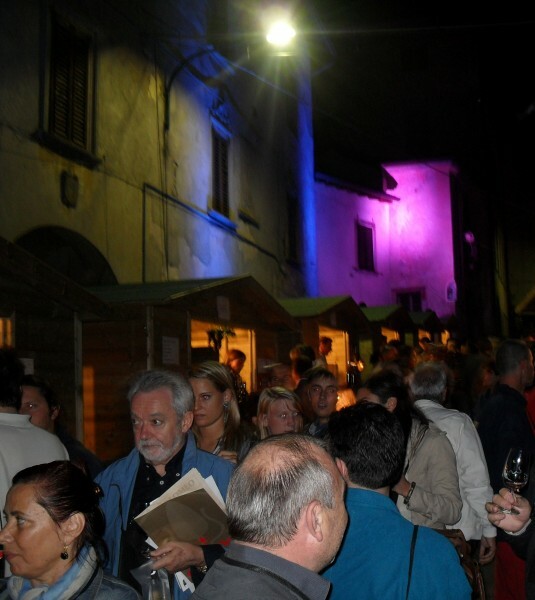 The consorzio only makes 60,000 bottles annually so we felt quite privileged to be invited to the annual Moscato festival that the village holds every year. The president of the consorzio and professional pilot when he’s not tending grapes is, Giacomo de Tomo, our host for the evening. A movie star handsome fellow complete with sporty race car and the elegant manners of an aristocrat, which I’m sure he was as we got a brief glimpse of the family pile on our way to the festival. We had the chance to chat with some of the producers at a small dinner beforehand and although they have a very small production, the winemakers were adamant in wanting to push their red moscato onto the international stage and elucidating the consumer to the fact that there is no other wine like moscato di scanzo. 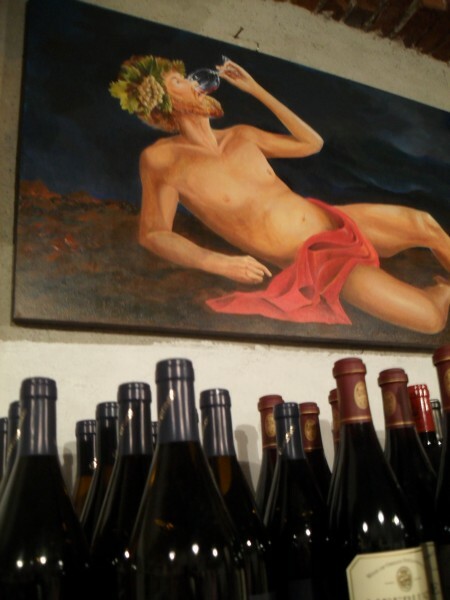 They are very serious about protecting the reputation of the wine and are strictly policing production to ensure that no bad apples cut corners and produce an inferior product. They are very proud of their wine and the history behind it. 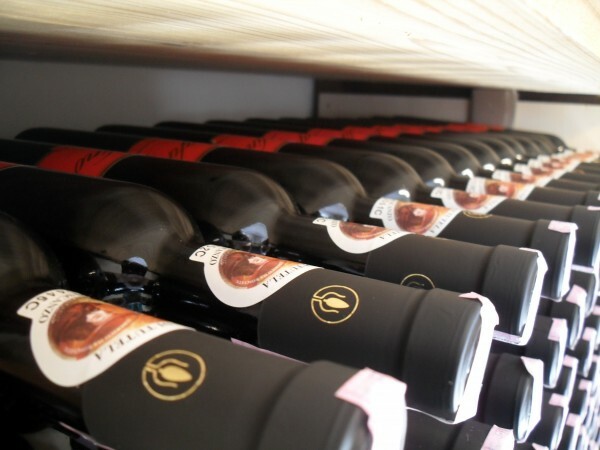 They have been on the international stage since 1850 when they were the only Italian wine to be listed on the London Exchange for 50 guineas. (FYI one guinea is approximately worth £1 in today’s money so those were some expensive wines even then). 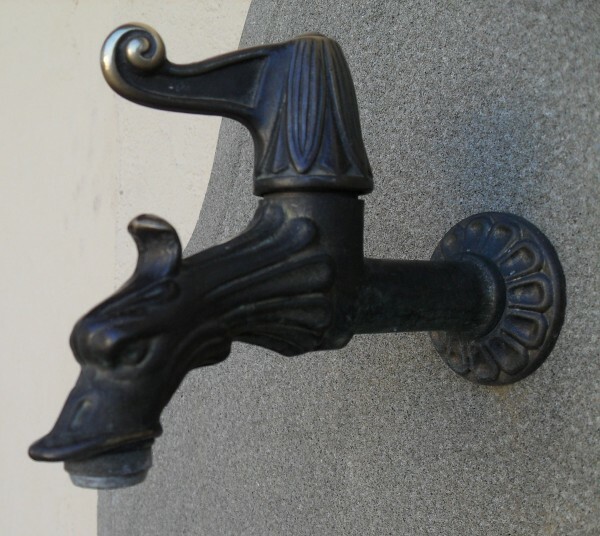 The wine was considered a legend back in the day because although many people had heard of it, it was made in such small quantities that it was near impossible to obtain. Even today, 50 cls sells for 50- 60 euros in restaurants. An interesting fact, the British Royal Family has historically had a standing order for the wine and still order it every year at Christmas. The festival was a friendly affair with seemingly all the producers offering their wares for the price of the entrance fee. And they were very generous with their pours. I estimate that they probably poured at least half the production that evening! I do love sweet wine but even my palate will get fatigued after the 10th shot of sweet wine. What I can tell you before palate fatigue set in was that all the moscatos shared the same characteristics of having dried cherry,black plum and spicy noses. The wines were surprisingly light for sweet wines and had good balance of acidity to keep them from becoming cloy. 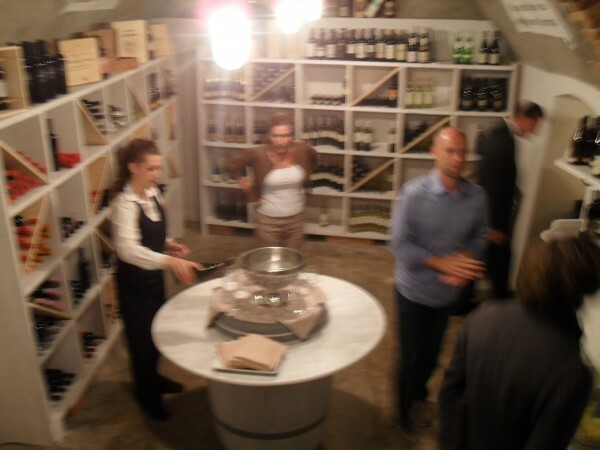 We finished off the evening with a tour of Giacomo’s cellars, very neat and tidy, they were. The next day we went out and had a look at the vineyards on the gently slopes of valley. 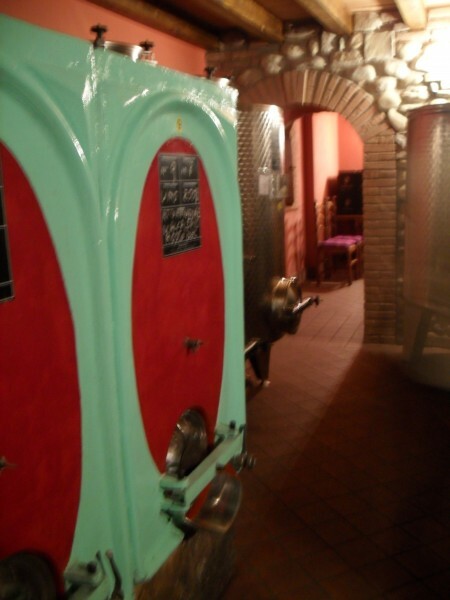 We visited a small producer, Cipresso, and got to tramp around the winery for a bit. After that it was time to bid arrividerci to the moscato di Scanzo but it was fabulous to discover yet another sweet wine to add to my list of after dinner libations. To find out more, visit their website. Ciao.The president write. 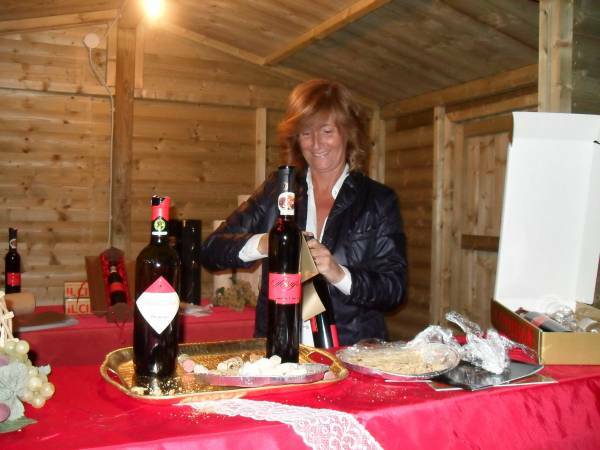 I am happy to see you on your website.I hope to have you again this year in Scanzorosciate-Now I make also a delicius chocolate with Moscato of scanzo, and I woul like to sell it in UK. 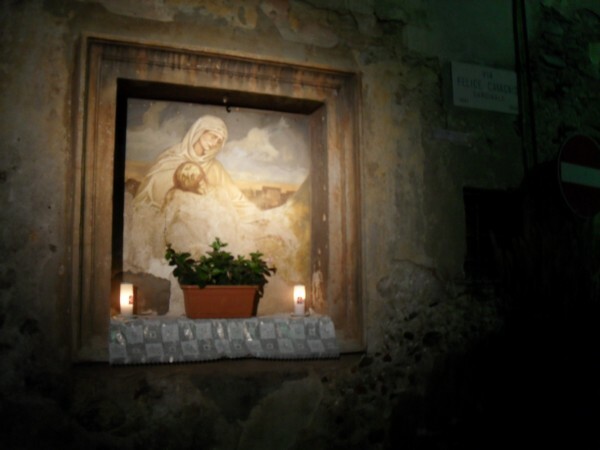 Hi Giacomo, I’d love to come and visit again, maybe in the spring. The chocolate with moscato di scanzo sounds divine! Thanks, Sig! I have to say, I do enjoy finding new (well, new to me)wines and wine regions. Glad you’re enjoying the posts! Loving your Italian wine adventures, your descriptions take me back to my year as an Erasmus student in Italy in the mid 90’s… great food and wine. So glad you’re enjoying my Italian adventures, really looking forward to visiting again sometime soon!